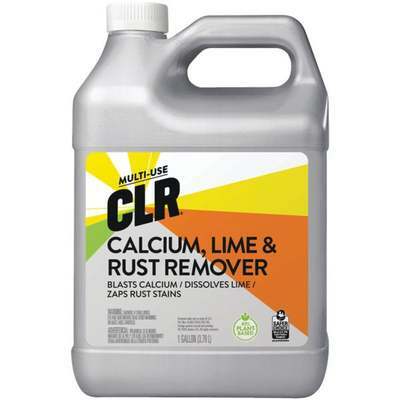 CLR is a powerful formula available for dissolving tough calcium and lime deposits and surface rust stains from: tubs, toilet bowls, sinks, glass, chrome, fiberglass, stainless steel, coffeemakers, humidifiers, dishwashers, washing machines, and shower heads. Removes calcium, lime and rust quickly and easily. Fast-acting, powerful formula with no rubbing and scrubbing. Septic safe and contains no phosphates.